Camino - Granny Flat - Pacific Modern Homes, Inc. 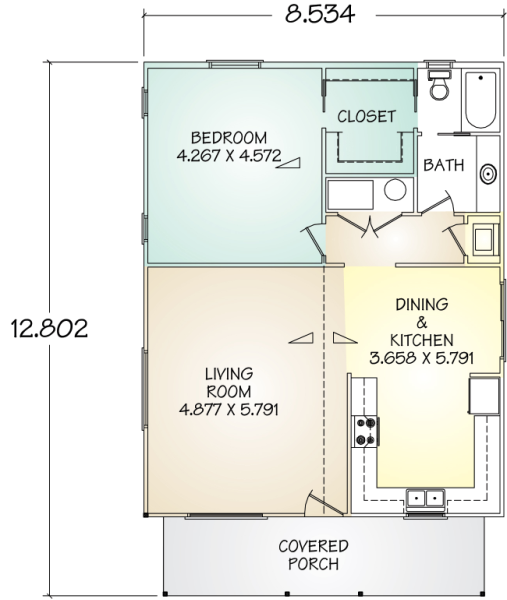 The Camino panelized kit home is a very comfortable one-bedroom plan with many of the features of a larger home. 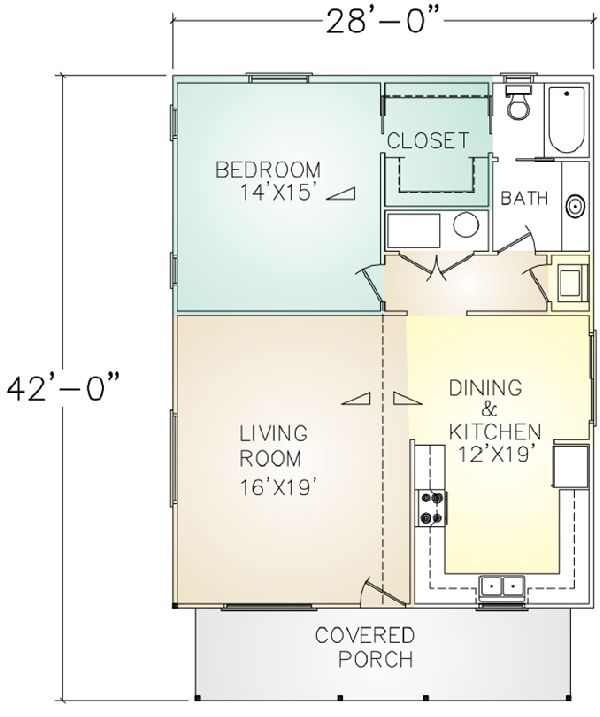 The kitchen and compartmentalized bathroom are unusually large for the overall plan size. An open feeling is achieved with vaulted ceilings in the living room, dining area, kitchen, and bedroom. 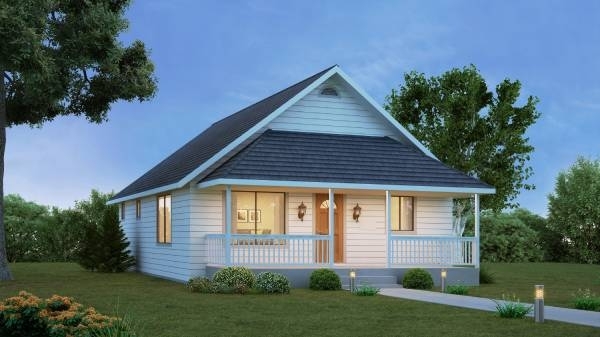 The covered front porch is the perfect place to relax in a swing or rocking chair.